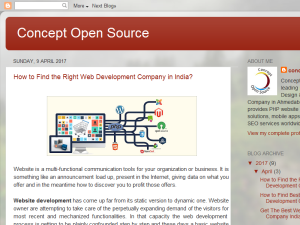 Concept Open Source is leading professional Web Design & Development Company in Ahmedabad, India. We provides eCommerce website solutions, mobile apps development and SEO services to worldwide. We provide inclusive range of services for responsive web design & web development, web programming & redesigning, eCommerce solutions, Internet marketing, android and ios application development.